There will be plenty of activities and experiences on offer to the children this week based around this story. At the beginning of the week the children will listen to the story in their library sessions. Later in the week the children will discuss being kind and sharing and will think of times when they have shared with their friends or family. 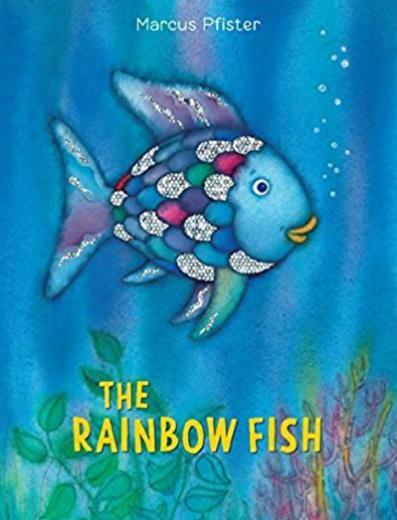 The children will share their ideas and together will make a large scale Rainbow Fish. In our Maths focus task the children will be fishing in the water tray and will be practising their accurate counting skills, their number recognition and formation skills and their addition skills too! In our creative activities the children will continue with their creative seaside collages and will be cooking star fish biscuits. Within our continuous and enhanced provision the children will have the opportunity to explore the rock pool small world, have boat races in the water tray, build sand castles and other creations in the sand pit and build sea creatures from a variety of construction kits.